Uzbekistan had put Rakhmat Akilov on a wanted list for people suspected of religious extremism. 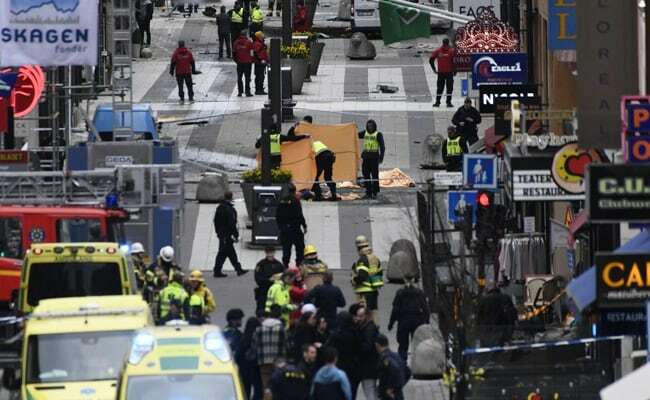 TASHKENT: Uzbekistan's security services had passed information on Rakhmat Akilov, the man accused of ramming a truck into a crowd of people in Stockholm last week, to the West before the deadly attack, Foreign Minister Abdulaziz Kamilov said on Friday. Mr Kamilov told reporters that Mr Akilov had been recruited by the ISIS terrorists group after he left the Central Asian nation in 2014 and settled in Sweden. "According to the information that we have, he actively urged his compatriots to travel to Syria in order to fight on ISIS' side," Mr Kamilov said, adding that Mr Akilov had used online messaging services. "Earlier (before the attack), information on Mr Akilov's criminal actions had been passed by security services to one of our Western partners so that the Swedish side could be informed," he said without identifying the intermediary country or organisation. An Uzbek security source said this week that Mr Akilov had tried to travel to Syria himself in 2015 to join Islamic State but was detained at the Turkish-Syrian border and deported back to Sweden.